Kids are always so excited about the prospect of all the Halloween candy they’re going to get when trick-or-treating! It’s easy for them to forget to eat the healthy part of their lunch…but you can make all those healthy sides a little more tempting with these easy hacks. It just takes seconds to look like a super-star Mom – and thrill your kids during lunchtime – with this super-simple Clementine jack o’lantern! Just grab a sharpie and draw a quick face on the Clementine. Let it dry for a couple of seconds before you toss it in the lunchbox. 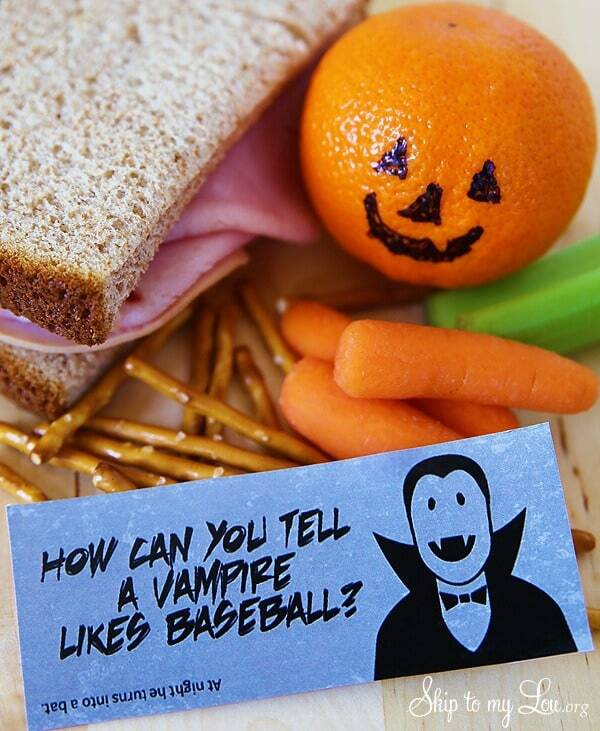 And take just a few seconds while you’re preparing for the week to print off these free adorable Halloween joke printables – they’re such a fun and easy way to bring a smile to your kiddo’s face at lunch (no matter how he or she did on the spelling test that day). Juice boxes are a lunch box staple. 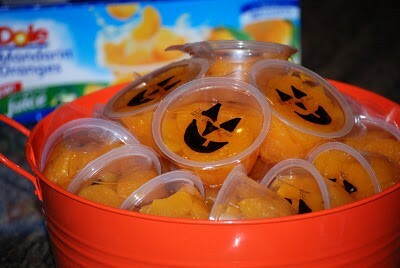 For a special treat, deck out your kid’s juice box in not-so-spooky Halloween style! 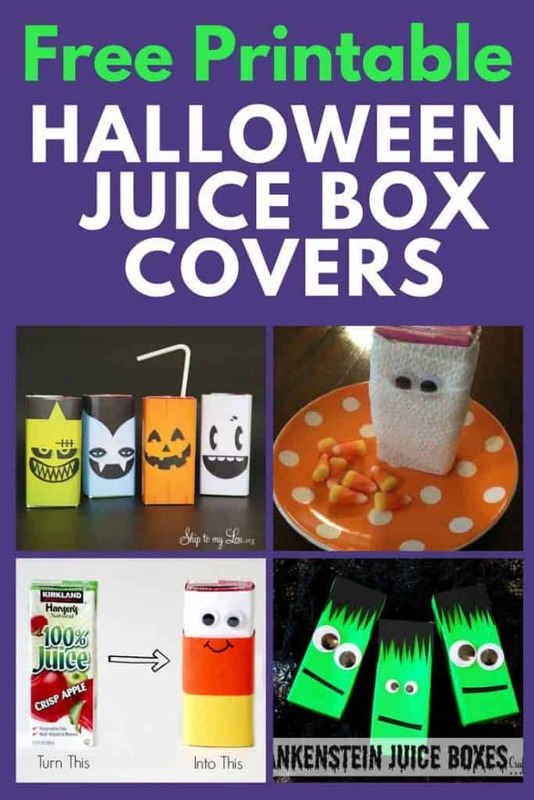 These Halloween juice box ideas are very simple to do. You’ll even find free printables that are so simple…just print, cut, tape and ta-da – a cute little treat that your kids will love! Veggies that kids will actually eat – and that other kids will make inspired trades for during lunchtime! What more could a parent want in a lunchbox treat! 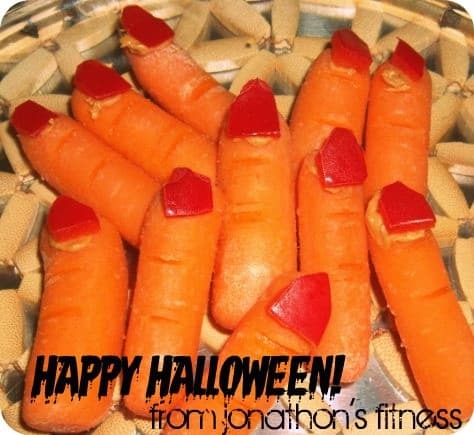 Baby carrots, a dab of peanut butter and red pepper triangles are all it takes to create these clever Halloween witch fingers! 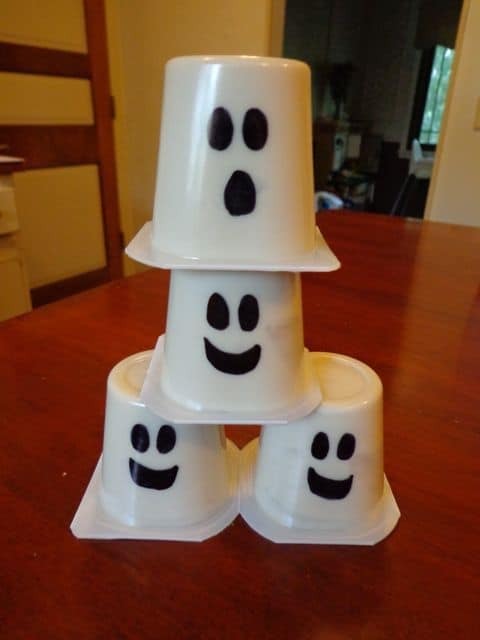 Even if you’re running late on school mornings, you can spare the 2 seconds it takes to create these adorable ghost pudding cups! Just grab your sharpie and draw a quick face on the pudding cup – it doesn’t get much simpler than that! If you’re the organized type (and I’m sure you are), you could draw the faces on the pudding cups as soon as you get them home from the store. Or have the kiddos draw the faces themselves (it’s sure to keep them occupied for at least a few moments)! You might want to just keep that sharpie handy during Halloween. These super-simple mandarin orange lunchbox treats just call for a Sharpie and limited drawing skills! 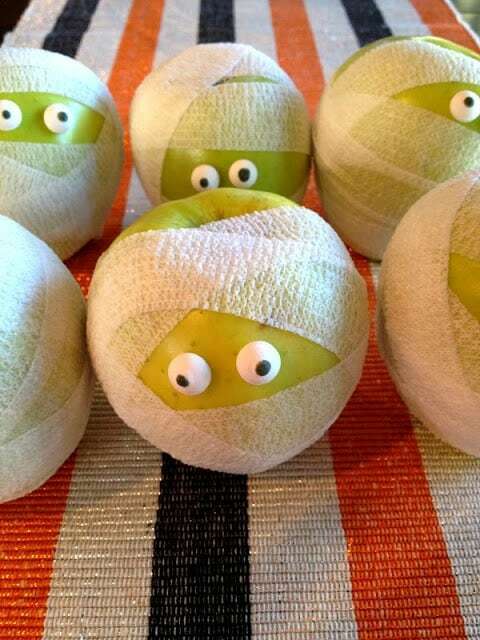 A bit of gauze tape and some candy eyes are all it takes to transform an ordinary apple into a super-fun Halloween treat! Don’t have candy eyes? Then add chocolate chips or mini M&Ms instead. There’s also a delicious sounding caramel and Heath bar dip recipe that’s included on the website – click through to get the instructions, as well as see how she packaged the dip and apples for a classroom goody bag! How did we get by without Sharpies…or cheese sticks? How fun for your kiddo to open his/her lunch box and find a ghastly ghost cheese stick! I did say to keep your Sharpie handy, right? Take 5 seconds and draw a screaming face on your kid’s banana! Cheap Graduation Party Ideas – Plan an Impressive Low Budget Grad Party! FINDinista is a participant in the Amazon Services LLC Associates Program, an affiliate advertising program designed to provide a means for us to earn fees by linking to Amazon.com and affiliated sites.